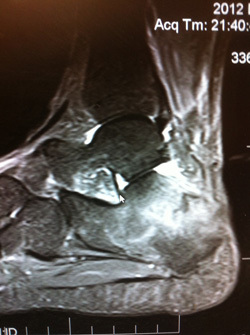 Occasionally seen with low-grade to diffuse swelling on the outside of the heel. 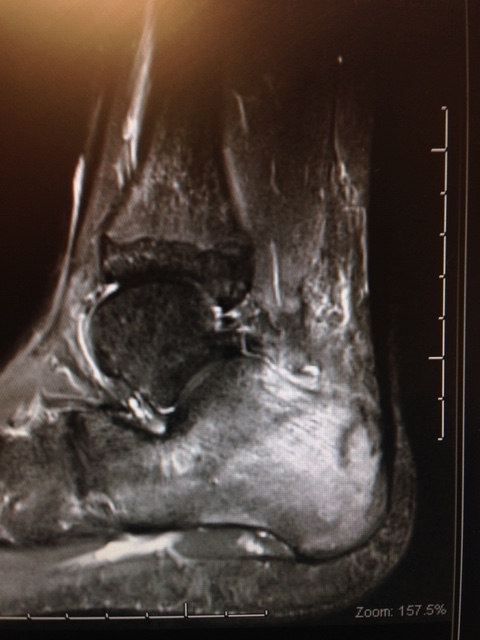 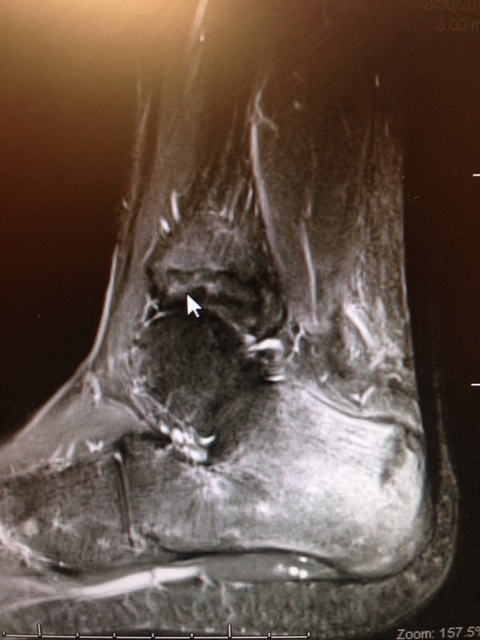 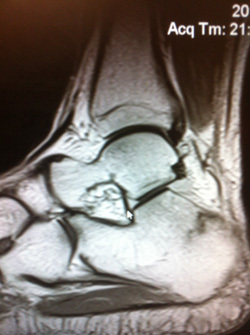 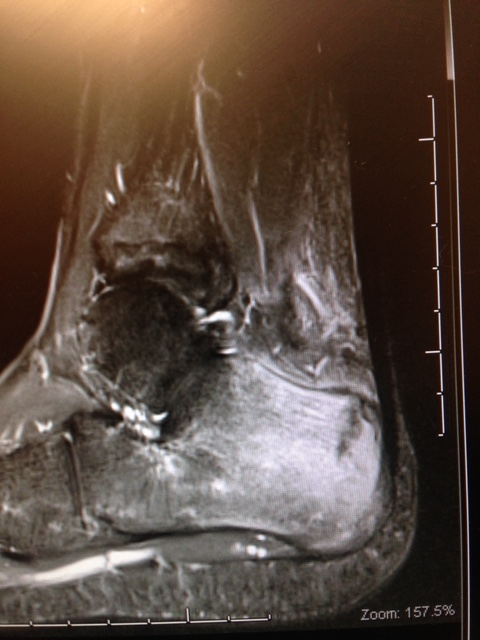 The x-ray image below is a lateral view of the calcaneus (heel bone) in which a fracture line is seen through the bone. 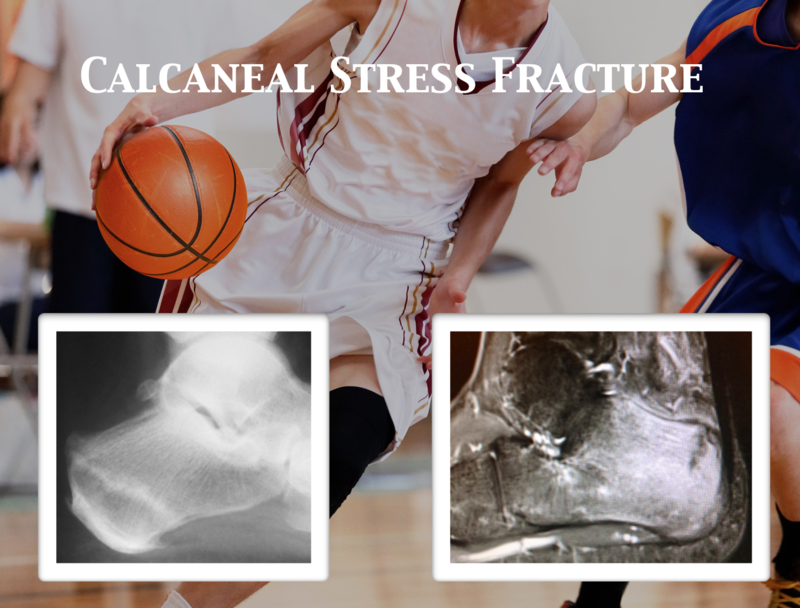 This is seen in stress fractures several weeks after the initial injury as the bone begins to thicken as a result of healing of the fracture. 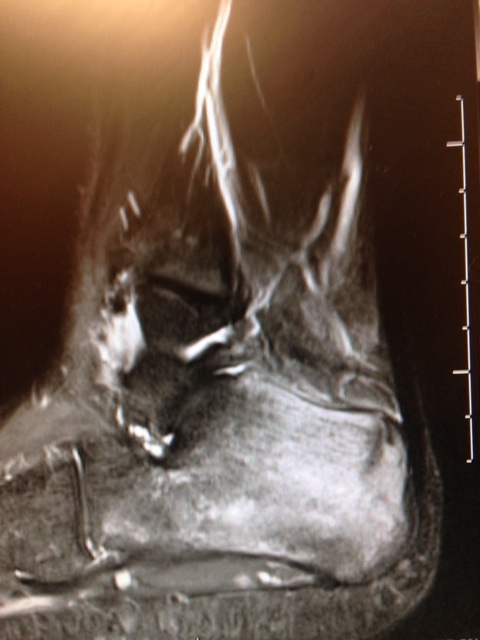 Below are T1 and T2 weighted, respectively of the rearfoot in which one can see the fracture of the calcaneus with surrounding edema visible with gray coloration within the bone on T1 image (left) and white color in the T2 image (right) within the bone.